Michaels is celebrating every occasion this summer with gifts for Moms, Dads and teachers, and parties to celebrate birthdays, graduation, and the 4th of July! 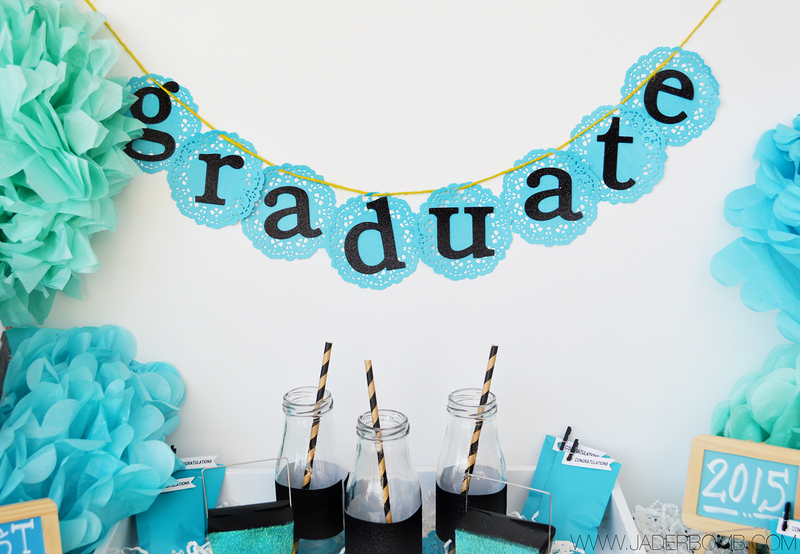 Today it’s all about Graduation Party Decor! As a toast to the last Michaels Makers post of the season, we created gifts, baked treats and threw parties for each of the six holidays this summer. 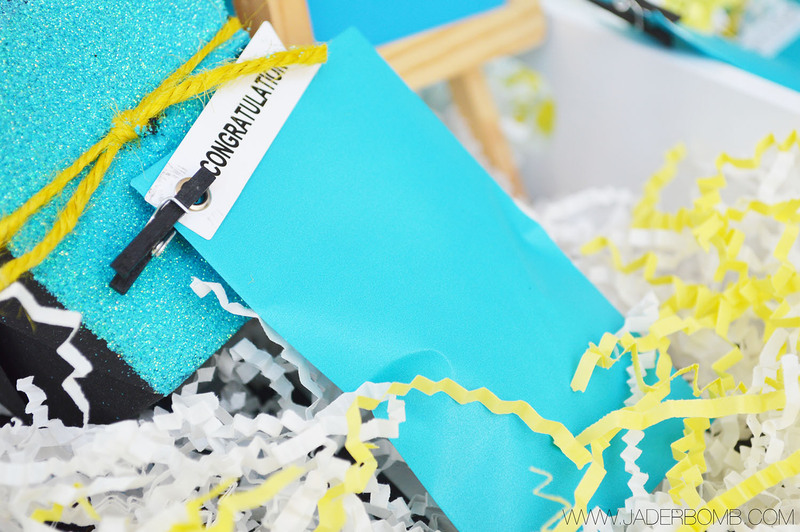 My challenge was “how to decorate for a graduation party.” I think graduations are so awesome because a person is moving on to a new important part of their life and what better way support them with a graduation party! 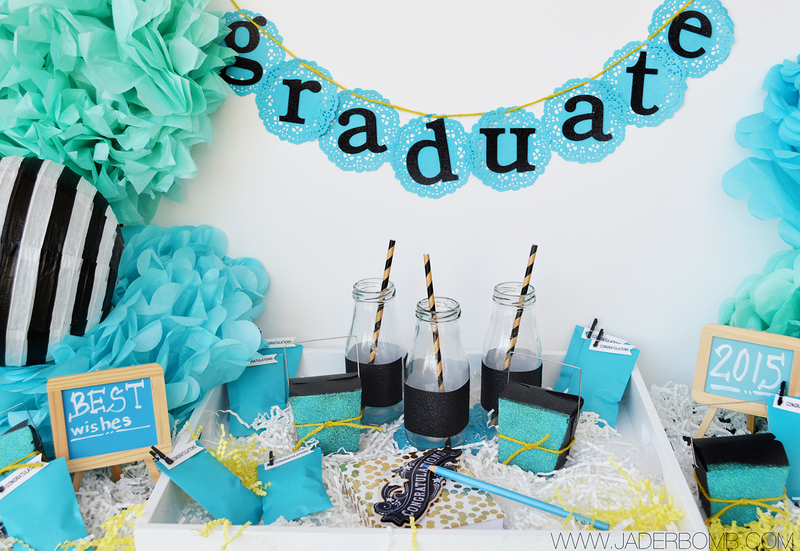 The good news about today’s post is that you can use the decor I created for a small child, high schooler or someone graduating from college! What I love about the products is you can mix and match with ton’s of different colors and create different looks to fit a person’s personality. OH –by the way, happy EARTH DAY! Let’s get started! For today’s post I wanted to use colors that are happy and bright. 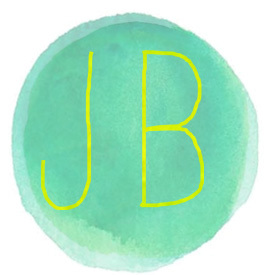 Turquoise and Yellow can be used for any gender or age and I think it will make everyone smile. 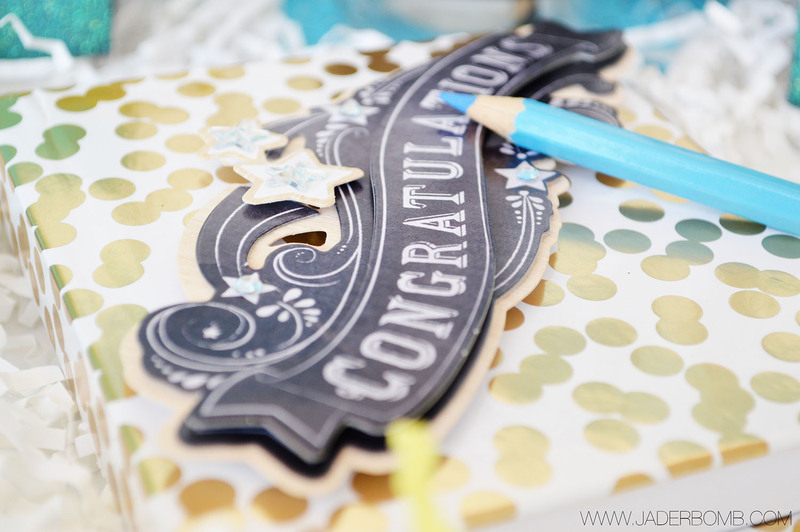 Everything I used today was from the Celebrate It line at Michaels. If you are not familiar with this line it is AWESOME! They have so many different generic items in every color you could imagine -making it easy to mix and match everything. Are you stoked yet!? These little chalkboard easels were from the $1 bins right by the registers. I saw them and thought they were perfect to put all over with sweet notes on them. You can write inspirational notes on them or you can put them by all of the food with food names on them. 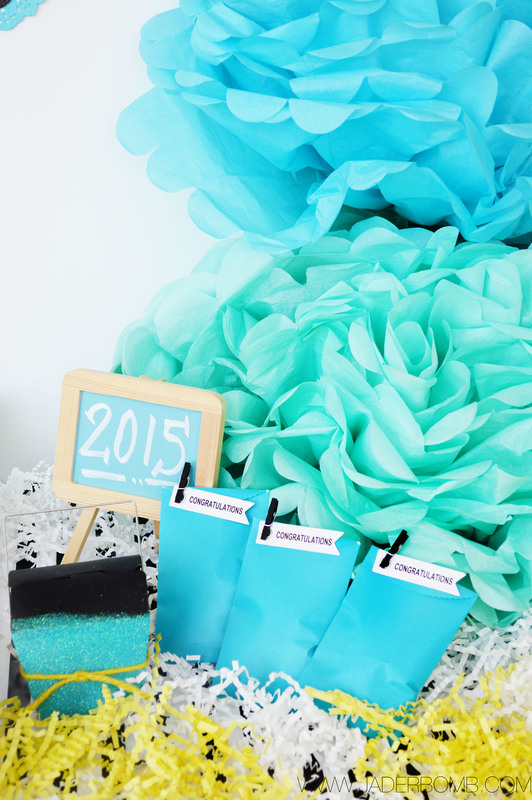 If you are having a sit down party you can put them at each table with your guests’ name! 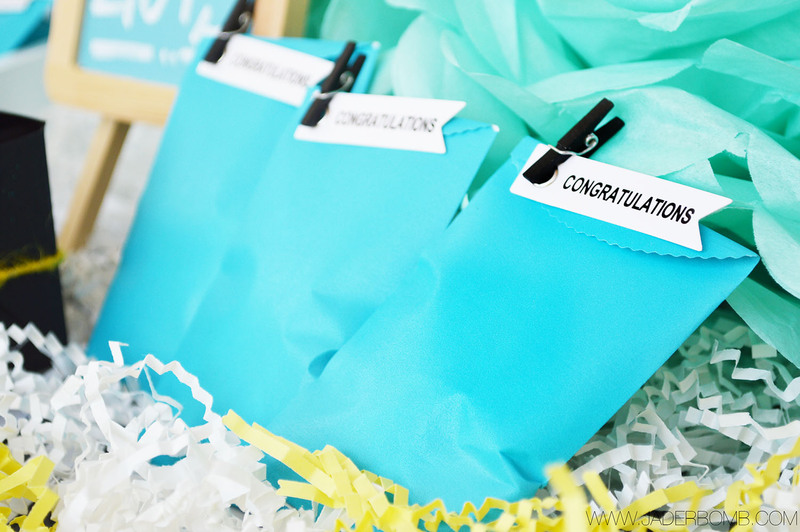 I put yummy mints in these bags for the guests. 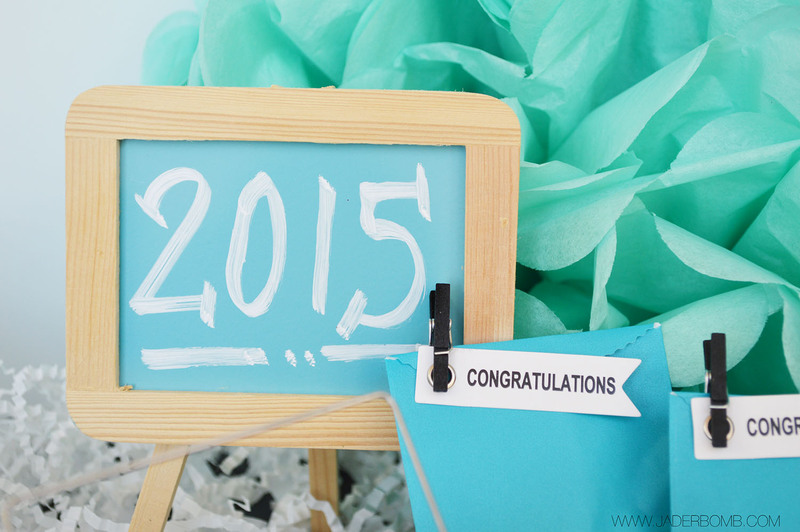 You can dress them up with miniature clothespins and a tag saying congrats! I also found these darling black and white striped lanterns in the $1 bins also. I think black and white can be added to ANYTHING and they go great with my color theme. 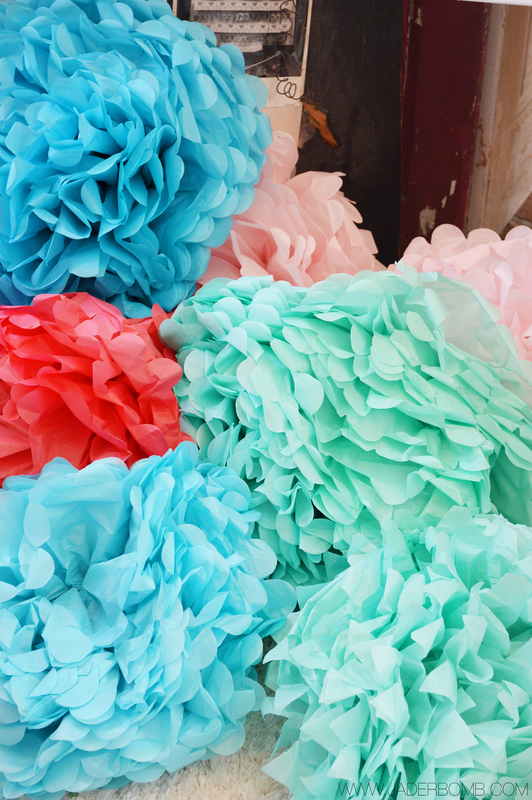 You can hang these from the ceiling or place them on your table settings like I did. The possibilities are endless! 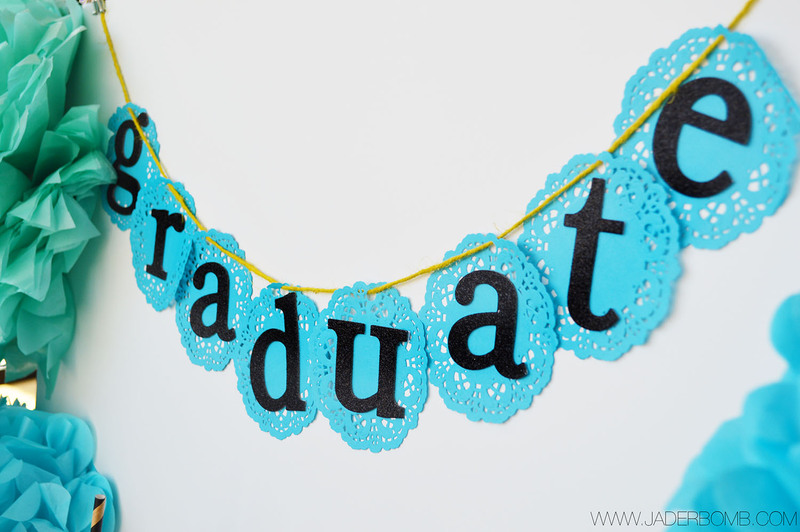 For my graduate banner I used turquoise doilies from the Celebrate It section and placed adhesive glittered letters in the center of them. Use a hole puncher to add a hole at the top of doily. This will make is easy to add string to them. I think every party needs a book for your guests to sign. I picked up this book in the Celebrate It section and added this cute 3-Dimensional sticker to the top of it. This sticker was also in the Celebrate It section. I am so in love with this book! I love that Michaels offers twine in so many different colors, this yellow really makes my banner POP! For drinks I picked up these cute vintage looking milk glasses and added a strip of adhesive glitter tape around the center. You could take this a step further and add letters with a name on them. I wanted them to be really simple and elegant. When done add a paper straw to them and VOILA, instant cuteness! 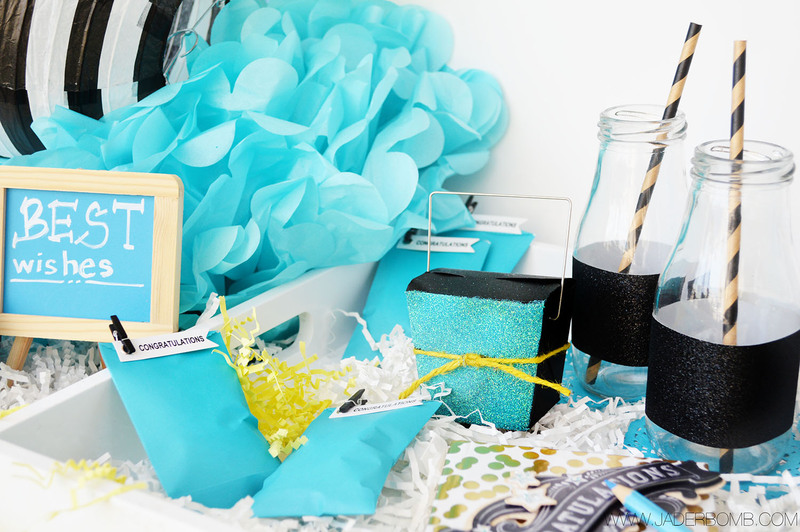 Wanna make your guests really happy, let them take a glass home with them as a party favor along with their bag of mints! 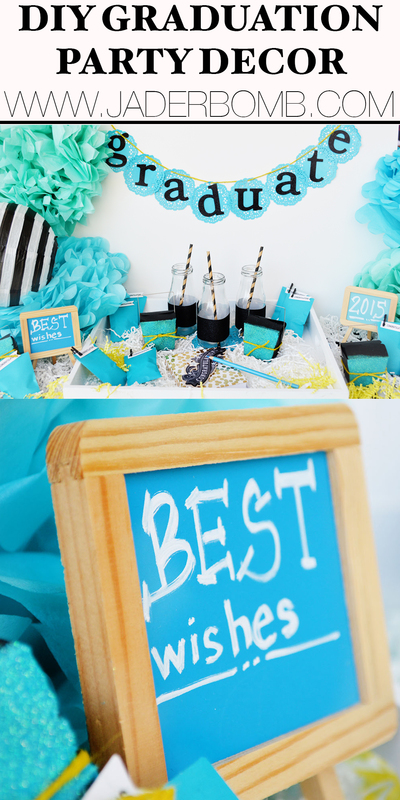 I love favors and when I saw these cute boxes I had to have them. They were too plain so I added adhesive spray to one side then sprinkled with turquoise glitter. 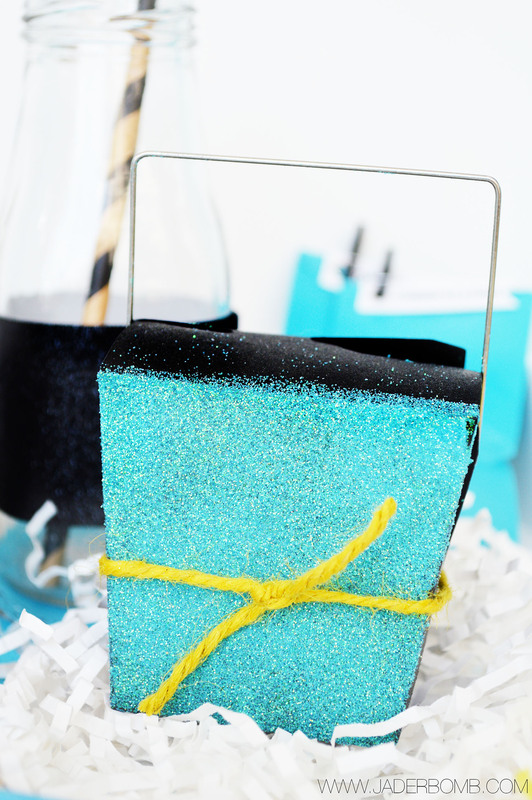 You can also add a small piece of twine to tie everything together. 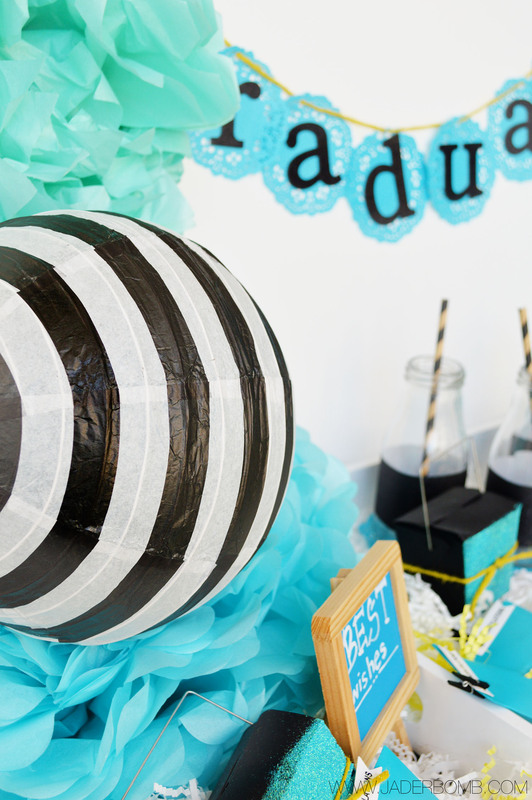 It’s never too early to get started on your next party or celebration – Michaels.com has more project ideas and instructions for you and your kids to make this year – check out projects for Mother’s Day , Father’s Day,graduation, birthday and even summer. Let’s celebrate! Click here to see ALL of my posts I created for the Michaels Makers program.